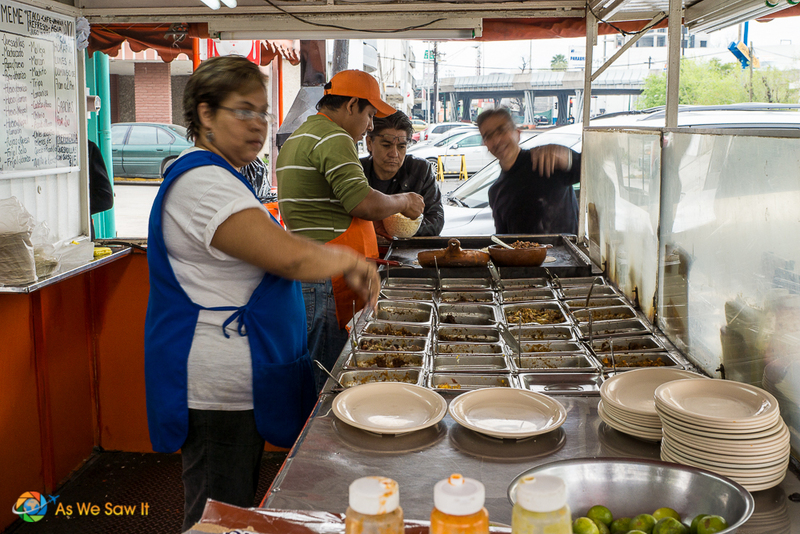 Mexico’s food culture is deeply entrenched in carnivorous tendencies. When people talk about Mexican food, they typically talk about meat tacos and meat dishes. However, less mentioned but just as prominent is the vegetarian side of Mexico. Mexico is all about tropical fruits, varieties of legumes, a wide assortment of vegetables, and a love for cooking with natural ingredients – after all, what would Mexico be without its salsas? If you want to travel to Mexico and don't eat meat, don’t worry too much about finding vegetarian Mexican food. This survival guide will prepare you for a delectable trip that will satisfy your taste buds, even if you can't eat everything on the menu. 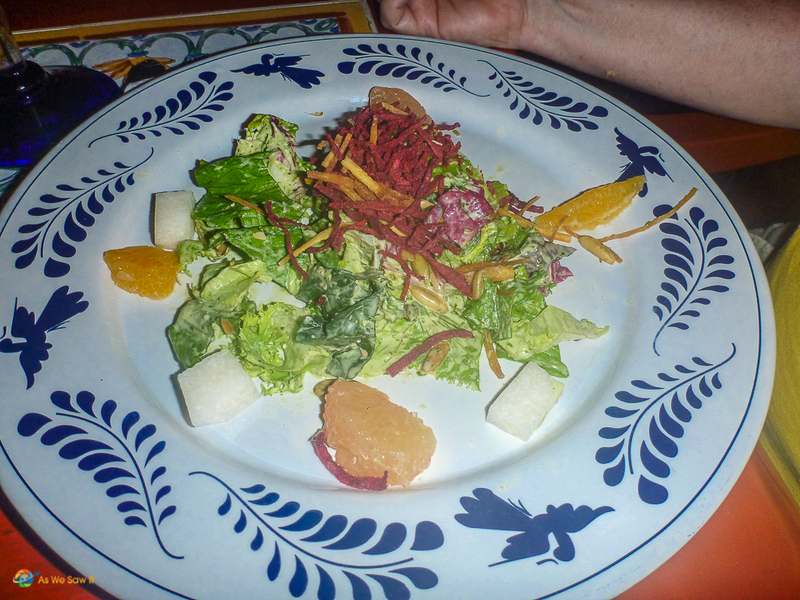 A few years ago, I went to Guadalajara to visit my family, and while we went to mostly Mexican eateries, we also went to specialty restaurants, like for salads and crepes. Driving through the city, I also noticed many diverse restaurants, like Chinese, Japanese, and Indian. While a few years ago most Mexicans would have laughed at people who don’t eat meat, the lifestyle has now been accepted and adopted into Mexican cuisine. Being so close to the United States, trends are being influenced by American culture, from television to clothing, and food is no exception. Mexico is now even embracing vegan culture. That you should look for vegetarian restaurants is a pretty obvious tip, but in case you didn’t think there were any options for vegetarian restaurants in Mexico, think again. It depends on the city's size of course, but as a rule, large cities will likely have an assortment of options to choose from. However, small towns are far less likely to have vegetarian-only restaurants. 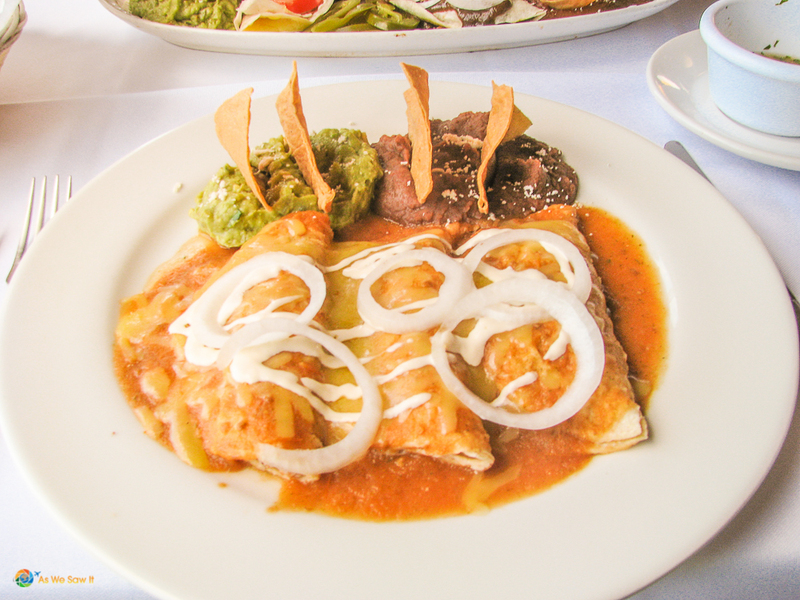 When you have had your fill of Mexican flavors, you can also find foreign restaurants. For instance, Chinese, Lebanese and Indian cuisines typically offer tofu, falafel, and other vegetarian staples. Though many vegetarians don’t eat seafood, some do. If you happen to indulge in a pescatarian diet, you’re in luck. Mariscos, or seafood, are very popular in Mexico, especially along the coast. You should be able to find a restaurant that serves fish (pescados) without a problem. On the other hand, if you do not eat seafood, stay away from seafood restaurants. They are less likely to serve vegetarian options and you might get stuck eating a very simple salad as a meal, or filling up on guacamole. Though Mexico shares a major border with the United States, there is an incredible contrast between the edible plants between the two. In fact, in Mexico there is an assortment of dessert and tropical fruits and vegetables that are foreign to most of the rest of world. While you are in Mexico, do not shy away from trying these different plants. You might even find a new favorite food! 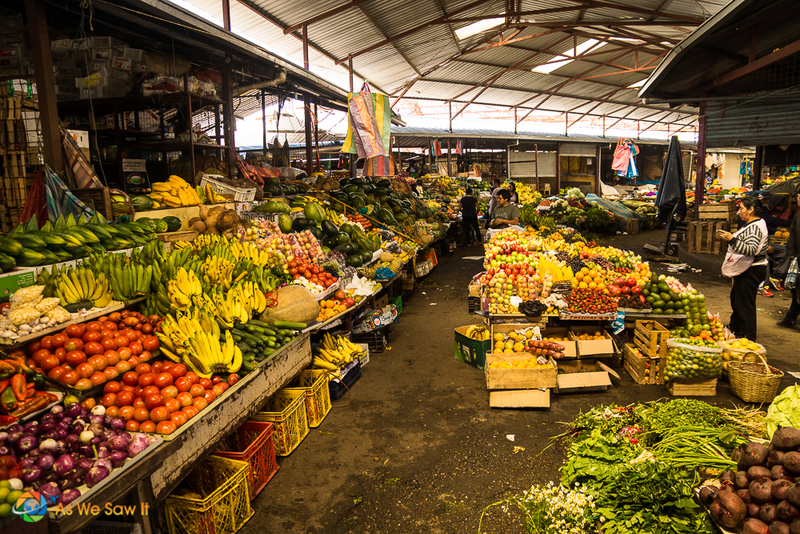 A staple of touring another country – especially one in a different climate than your own – is to head to the local markets. Heading to Mexican markets will treat you with the experience of seeing and tasting a variety of fruits and vegetables that you’ve never heard of. You will be greeted by a rainbow of colors and inviting smells when you walk in. Don’t miss out on trying the variety of fruits and vegetables that Mexico has to offer, but be warned, there will almost certainly be meat stalls at the markets you go to. Though they are often separated by produce and meat sections, this is not always the case. If you don’t learn anything else about the food culture in Mexico, you can be sure to take away the fact that Mexicans love to eat. All. The. Time. Coming from a Mexican family, I know this to be true. Every time I visit my grandmother’s house, I am constantly being offered snacks, desserts, meals, and candy. You will see this for yourself when you go to Mexico. You can hardly walk down any street without seeing taco carts, ice cream sellers, and food stands of different kinds. You will also find fruit and vegetable carts, which sell cups and bowls of them for a delicious snack. Chayote is similar to a potato with a slightly different taste. 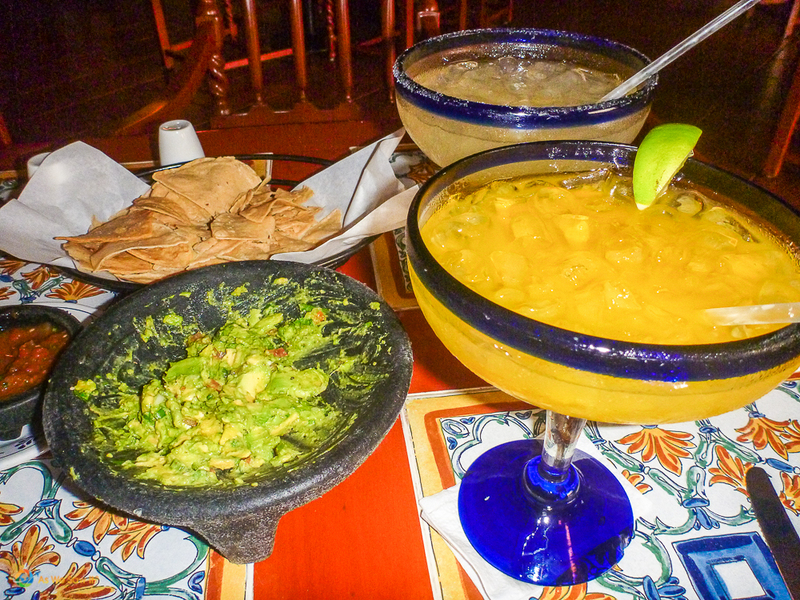 You cannot leave Mexico without trying it – it is too good to pass up! This corn on the cob is like none you’ve ever had at a barbecue. In Mexico, they are often sold on a stick or in a cup as a snack, and topped with lime, cream, chile, and cotija cheese. Do not pass up the chance to try it! There are so many others on the list. Each cart will sell a unique variety, and some will specialize in fruits or vegetables and some will serve both. Don’t shy away from trying any that are new to you, but embrace the opportunity to sample exotic produce. Yes, that’s right. Being a vegetarian doesn’t have to stop you from indulging in savory, drool-inducing, famous Mexican tacos. While not all taco carts will offer vegetarian options, you are likely to find quite a few that serve tacos with vegetables as toppings. These will typically include one or more vegetables like: rajas (peppers) , nopal (cactus), hongos (mushrooms), elotes (corn), calabacita (zucchini) and/or calabaza (winter squash). If you can find a taco cart or restaurant that serves one of these on their tacos, don’t miss out! You will end up with a taco that tastes just as good – and arguably better – than meat tacos. Also, most of the delicious flavor comes from the salsas, which are absolutely vegetarian friendly. It is entirely possible that every single one you try will taste a bit different than the last, so try them all! Salsas can help transform a boring food into the best one of your life. Plus, you can try making them when you get home! Cheese is a great source of Vitamin B-12, an important part of maintaining your health with a vegetarian diet. Fortunately for you, cheese is big in Mexico. For many dishes that are topped with meat, the meat can often be substituted for cheese. This will truly open up the dining possibilities and make it so that you can enjoy the more authentic dishes. When substituting in cheese, beware of food items like tamales and tortillas, Though you can get tamales with different vegetarian fillings, such as cheese, beans, and corn, the dough is typically made of lard, making it incompatible to your vegetarian diet. Likewise, some tortilla dough is made with lard, and it can be hard to tell unless you ask. Of course, being a vegetarian does not mean you love eating fruits and vegetables all the time – even though they are delicious. In any case, while Mexican dishes tend to favor servings of different kinds of meat, there is also a surprising availability of meat-free dishes. Fried tortillas covered in either red tomato or green tomatillo sauce. Usually topped with cream, cotija cheese, and lettuce. It can be a breakfast food and can come with eggs, and it can be a lunch dish. Though it usually comes with meat or chicken, it is also common to eat without any sort of meat, just be sure to specify when ordering. Quesadillas are common in Mexican restaurants around the world. Made by melting cheese on a tortilla, this dish is simple but delicious. You will probably encounter many different types of cheese during your trip, and you can usually ask for them with avocado. Vegetarian-friendly soups are common in Mexico. My mom learned from her mom to make many soups out of vegetables like cauliflower, broccoli, zucchini, and carrot. There is also a soup called Caldo de Queso, which usually has potatoes and cheese in it. Molletes are a simple food, made out of a toasted roll of bread, pan torsido/twisted bread, beans, and cheese melted on top. It is filling and surprisingly delicious. You may have seen chiles rellenos on the menu of a Mexican restaurant back home, and you might have even tried it. It is a dish made out of peppers stuffed with cheese, topped with salsa, cream, and more cheese. These two dishes are relatively similar, with the main distinction that entomatadas are usually made with corn tortillas and enchiladas are usually made with flour tortillas. Like chilaquiles, they typically come with meat, but you can get them filled with cheese and.or beans to make them vegetarian. Another area where Mexicans truly glorify their plants is with their many flavorful drinks. My personal favorite, horchata is a sweet drink made out of rice milk and cinnamon. Agua is Spanish for water, but if you are asking for plain water, you need to specify. To order water, ask for agua natural, but I highly suggest trying one of Mexico's many aguas frescas. These “fresh water” drinks can be made using any and all fruits available in Mexico, as well as grains or flowers. Jamaica is an agua fresca made from hibiscus flowers. This refreshing tea will quench your thirst. 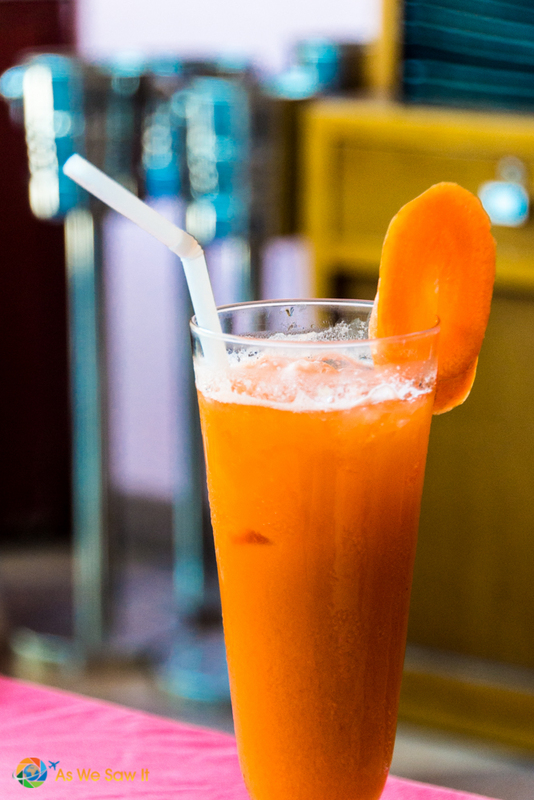 Tamarindo is a tangy agua fresca drink made out of the pulp of tamarind. Jugos are natural fruit juices. Unlike aguas frescas that are watered down, these drinks are usually more dense and are basically what we drink here when we have juice. Many juices are a blend of fruits and vegetables, with orange, carrot, and green juices being some of the most popular ones. Raspados are basically snow cones from heaven. Instead of being flavored with artificial syrup, they are flavored with natural fruit juice. Nieve, while not exactly a drink, is a delicious water-based Mexican ice cream. It’s on the list because it is usually made out of fruit and it is irresistible. Traveling to a country where you don’t speak the native language can be intimidating. While many locals in tourist areas will speak at least a little English, and many will be fluent, people away from those tourist places will know less English. We are vegetarian. – Somos vegetarianos. I can only eat vegetarian food. – Solo puedo comer comida vegetariana. Does it have meat? – Tiene carne? Does it have lard? – Tiene manteca? Are these tortillas made with lard? – Estan hechas con manteca las tortillas? Are these tamales made with lard? – Estan hechos con manteca los tamales? With cheese instead of meat, please. – Con queso en lugar de carne, por favor. 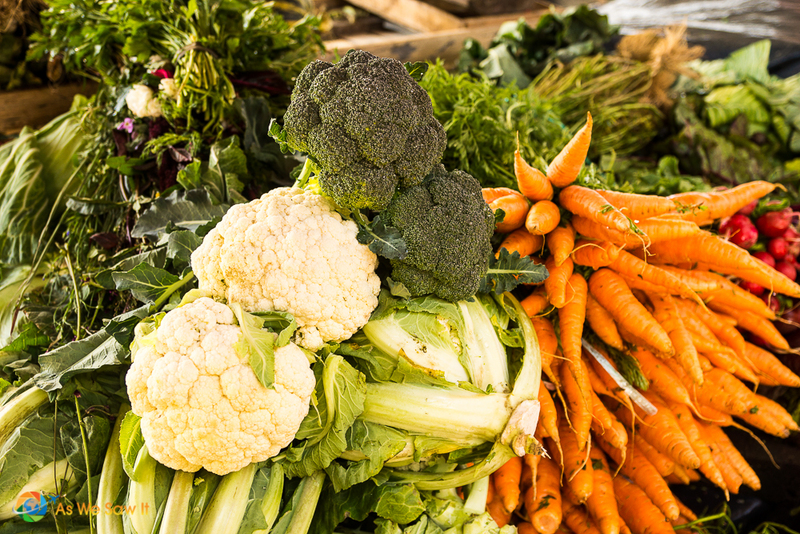 Vegetarian diets are not only good for your health – if done right – but are also good for the environment. Though it can be disappointing to travel to another country and not be able to try all the food, Mexico has plenty of vegetarian cuisine to offer. You will come back from your trip with a knowledge of new fruits, vegetables, and ideas to try at home! Geo Sique is a writer from Boise, ID with bachelor’s’ degrees in Communication and French and a background in journalism. When she’s not travelling outside Idaho, she loves rock climbing, hot springs, camping, and exploring the world around her. Thanks for pointing out how there would be Mariscos available for people who are on a pescatarian diet. My sister is on this type of diet, and she is really itching to go explore more exotic food outside our area. I will be sure to share this piece with her so that she can consider visiting Mexican restaurants for their Mariscos dishes. You’re welcome, Kit. Kudos to your sister for wanting to expand her food horizons! Way cool Geo! Good to know for my wife Kelli. She is veggie and has options visiting local Mex restaurants in NJ but feels unsure about spending months in Mexico. Food in Mexico is different than Mexican food in NJ LOL. But this post gives her hope, for sure. If she finds solid protein veggie or vegan sources she is all in, travel wise. Thanks for the rocking share! I feel for Kelli. We’re flexitarians ourselves and extremely selective when it comes to protein sources. We’re picky about the beans and always ask if the frijoles are cooked with pork (they love that swill). Fortunately, beans and cheese are ubiquitous in Mexico. I doubt she’ll go hungry. I recently went To Mexico City and the food was amazing. I did think it would be hard to be vegetarian with the taco stands and the whole eating culture revolving around meat. It is nice to see that there is a still a way to be vegetarian and enjoy some of the amazing food Mexico City has to offer. We’re with you, Hector. Mexican food is amazing. As long as the frijoles (beans) aren’t cooked with meat, there’s usually something that can make a vegetarian happy.